Reconditioned and New surplus gear to match any manufacturer's older installation! Whether you need old, or obsolete, electrical equipment originally furnished by SQD, GE, Westinghouse, Cutler-Hammer, ITE, Bulldog, Siemens, FPE, Wadsworth, Continental, Zinsco, et-al, we have a source to fit the need. All older equipment is fully tested and reconditioned with a warranty. 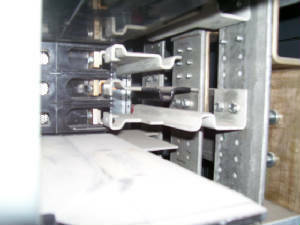 Molded case circuit breakers, panelboard mounting hardware, snap in breakers, bus duct, plugs, starters, fusible buckets, transformers, draw out breakers, bolted switches, disconnects, etc. Simply tell us your specific situation and we'll quote the correct items promptly with competetive pricing. We can assist you in completing your job on time and profitably. 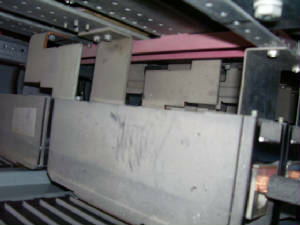 This style of old FPE hardware is readily available as a complete kit.